The photo above is the front of our house, more or less in the state it was in when we bought it. The scraggly tree was gone, and the front door replaced with a charming white metal “safety” door, but this is pretty close. The woman who owned the house before us lived in it for a few years, then moved across the country and rented it out. The house was actually in great shape for a rental, but landscaping was not top priority (understandable). Love: the porch! Jono (my husband) and I both love a house with a front porch: the old-school way that it lets you connect with the neighborhood and welcomes people in. And, since we live in Atlanta, we spend time out here almost year-round. We have dinner outside, drinks with friends outside, read outside, or just sit with the dogs and watch the world pass by (sigh). Don’t love: color. The gray is… fine. Not really exciting, but not offensive. But the combo of faded brick red and periwinkle blue/gray makes all my 1990s Country Living dreams come true. 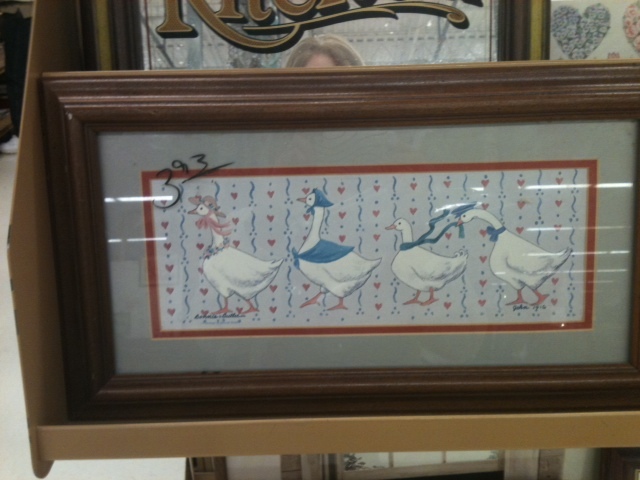 It reminds me of all the little duck tchotchkes in our house growing up. This is no slight to my mom (a very stylish lady – love you mom), but every era seems to have its own aviary counterpart, doesn’t it? Anyways, I’m imagining something dark with white trim, something like this or this, possibly with some updated railings and a pretty new (old?) door. Love: that fireplace. Love those floors. Love all those windows (not so much the curtains, but that’s a battle for another day). Don’t love: pale pink walls. A recurring theme throughout the house. They’re almost neutral. But still pink. Other recurring themes: textured ceilings and crown molding that almost touches them but not quite. Why? This one still baffles me. It’s like the walls and molding settled half an inch but the ceiling didn’t settle with them. “What?! How?! Is that possible? !” you might ask. I have no answers for you, friend. Maybe some day, someone wiser than both of us can explain this phenomenon. Samesies. Not shown here is the arched entry to the dining room, which I really dig. Shown here again are the pink walls and slightly-too-low crown molding. Just baffling, I tell you! Those curtains were given a ticket on the first train to Goodwill after we moved in. Blue! Black! White! Ikea! Laminate! I know what you’re wondering, and yes that sculpture/vase was left behind for us to enjoy! We never quite figured out what to call this space. Storage? Laundry? All of the above? At some point it was a porch that was enclosed. It gets great light all day, which makes it a shame that it’s just a laundry/storage room. See above re: pink. I’m not saying we bought the house for the doorknobs, but I bought this house for the doorknobs. Only just noticing that we have a different ceiling fan than the one in this picture. Love the big windows in here, though it’s on the front of the house, so privacy is an issue. Especially if you like to leave the blinds open all the time like I do. Oops. The color in here was nice, but a little too “traditional” for my taste. Warm browns are just not my jam. Oh, bathroom. Where to start? You are quite small, but I like your blue tiles (in theory), linen closet (finally! somewhere to put towels like a grown-up!) and little medicine cabinet. But then there’s also all the seashell-themed fixtures, the double layer of tile (? ), the tub that’s not angled enough so it doesn’t fully drain, and the toilet that sits about 6″ out from the wall. I appreciate the privacy of the glass block window, but it always makes me think of funeral homes – does anyone else have that reaction? Little things, but I’m of the feeling that a bathroom, especially when it’s the only one in the house, needs to be REALLY functional to be enjoyable. A little darker and quieter than the rest of the house. A cute little room. It’s big and fenced, which is great for the pugs. There’s a huge, very old sweetgum tree on the left side that’s really beautiful but drops its little gumballs EVERYWHERE, which is not my favorite. There’s a little fire pit and not much grass. In other questions I never thought I’d ask… can someone explain to me how to grow grass? I thought it was easy. Something that just naturally happened. I was so so wrong. Grass is hard, ya’ll. And ours is a hot mess. I’m working on curing my black thumb, but it’s a sloooow process, growing things. So, what do you think? I see a lot of potential. We love our neighborhood, and this house, our first house, feels like a little retreat from life and work. It’s fun looking back over these photos and what’s changed in the past year, but I’ll save more of that for next time!